Turmeric may be sitting in your cupboard right now along with some of the other cancer fighting foods known as herbs and spices: cayenne pepper, ginger, cinnamon, and garlic. While these foods offer their own brand of benefits, none contain Curcumin, the antioxidant, anti-inflammatory compound found in the yellow-orange turmeric, a favorite Indian spice. The National Cancer Institute, Division of Cancer Prevention, is looking at food and food-derived products to use as chemopreventive agents for major cancers: breast, prostate, colon, and lung. In the Journal of Nutrition, the article, Progress in cancer chemoprevention: development of diet-derived chemopreventive agents, explains the institute’s intent to examine more than 40 food products for treating populations at normal risk for cancer, including: Curcumin, cancer fighting foods or components of them in the form of: phenethyl isothiocyanate, green and black tea polyphenols, soy isoflavones, sulforaphane, lycopene, indole-3-carbinol, vitamin D, vitamin E, selenium, and calcium. For higher risk populations, those experiencing pre-cancers or those who have had cancer in the past, the institute is looking at extracts which contain more than one compound or classes of compounds. 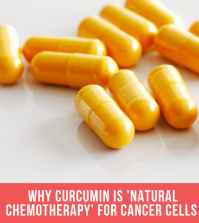 A study from Columbia University, Therapeutic potential of curcumin in human prostate cancer, published in Prostate, concluded Curcumin has the potential to be a therapeutic anti-cancer agent due to its ability to significantly inhibit prostate cancer growth. 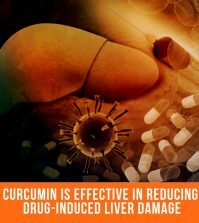 Furthermore, Curcumin has the potential to prevent the progression of this cancer to its hormone refractory state. 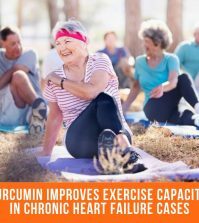 These results are powerful on their own, but what can be accomplished by combining Curcumin and cancer fighting foods? 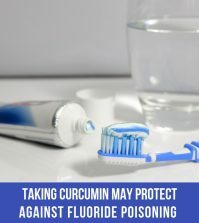 Turmeric was tested along with phenethyl isothiocyanate, a phytochemical found in large amounts in cruciferous vegetables including cauliflower, cabbage, kale, and broccoli. On their own, phenethyl isothiocyanate and Curcumin significantly slowed down the growth of human prostate cancer cells implanted in mice who were immune-deficient. When mice with well-established tumors were given phenethyl isothiocyanate or curcumin alone, neither was effective; however, the combination of the two greatly reduced both the growth and the ability of the cancer cells to metastasize. A clinical trial conducted by researchers from the Florida Cleveland Clinic and John Hopkins School of Medicine published their results in the August issue of Clinical Gastroenterology and Hepatology . Patients with a genetic form of potentially cancerous polyps in the colon were given Curcumin and quercetin, an antioxidant in onions, over a time period of approximately 6 months. During this time the average number of polyps dropped by over 60 percent, with the average polyp size decreasing by over 50 percent. 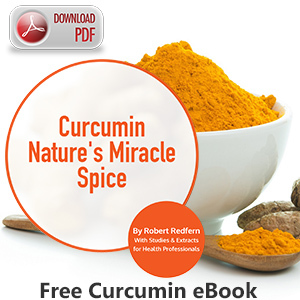 The results obtained from testing Curcumin and cancer fighting foods are not uncommon. Indians from Asia have lower rates of prostate cancer than Caucasians, blacks, and Hispanics. Could this be due to a higher consumption of Curcumin and cancer fighting foods? Maybe it’s time to replace the salt in your salt shaker with turmeric and load up your refrigerator with cancer fighting foods. Dorai, T., YC Cao, B. Dorai, R. Buttyan, and AE Katz. “Supplemental Content.” Prostate 4th ser. June.47 (2001): 293-303. National Center for Biotechnology Information. U.S. National Library of Medicine. Web. 27 Apr. 2012. <http://www.ncbi.nlm.nih.gov/pubmed/11398177>.Kelloff, G. J., Crowell, Steele, Labet, Malone, Boone, Kopelovich, Hawk, Lieberman, Ali, Viner, and Sigman. “Progress in Cancer Chemoprevention: Development of Diet-derived Chemopreventive Agents.” The Journal of Nutrition (2000): 467S-71S. UK PubMed Central. Web. 27 Apr. 2012. <http://ukpmc.ac.uk/abstract/MED/10721931>. Vohr, Eric. “Cancer Survivors Network.” Johns Hopkins Gazette Reports on Their Study on Turmeric. Web. 27 Apr. 2012. <http://csn.cancer.org/node/222320>. Correa, M., D. Shoskes, P. Sanchez, R. Zhao, L. Hylind, S. Wexner, and F. Giardiello. “Combination Treatment With Curcumin and Quercetin of Adenomas in Familial Adenomatous Polyposis.” Clinical Gastroenterology and Hepatology August 4.8 (2006): 1035-038. Science Direct. Web. 27 Apr. 2012. <http://www.sciencedirect.com/science/article/pii/S1542356506002783>. CDC. “Prostate Cancer Rates by Race and Ethnicity.” Centers for Disease Control and Prevention. Centers for Disease Control and Prevention, 31 Aug. 2011. Web. 27 Apr. 2012. <http://www.cdc.gov/cancer/prostate/statistics/race.htm>.